Industrial Storage Archives - GIS Inc.
Pucel Enterprises, Inc. was founded in 1949 by Edward L. Pucel and has quickly become one of the industry leaders in manufacturing material handling and industrial equipment. Equipment that includes storage cabinets, workbenches, lockers, shop equipment, carts, trucks, drum handling equipment, and shelving units. 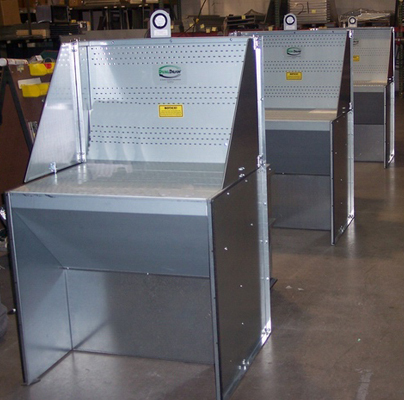 All products are manufactured in the U.S.A. and feature heavy duty all welded construction. We have been family owned and operated for over 60 years. Today, Stanley Vidmar, as the company is now known, still makes all of our products to order at our Allentown facility. In the years that have passed since our inception in 1966, Stanley Vidmar has watched the demand for efficient, durable storage continue to grow as businesses and industries become more lean, productive, and efficient. Stanley Vidmar is a common name in countless fields, including military, automotive, manufacturing, healthcare, heavy equipment, agricultural, power generation/utilities, government, and many more. Tennsco is proud to manufacture our products in Dickson, TN and even prouder to state that we do not outsource ANY products or major components. Our dedicated workforce is committed to Tennsco, with an average tenure over a decade and a quarter of our team over two decades. This experience means higher quality products and jobs for Americans. We’re dedicated to investing in and utilizing the most advanced production methods in our industry, including sophisticated stamping lines, laser cutters, roll formers, automated bending cells, robotic welding and powder and electro-deposition finishing systems. Shelf capacities from 200 lbs. to 18,000 lbs.